Dr. Andrew Miller (1842 – 1894) contributed significantly to the worldwide success of homeopathic treatment. Dr. Andrew Miller was born on June 8th, 1842 in Scotland and worked as a physician in England starting in 1866. 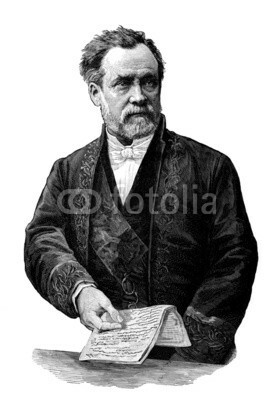 He had qualified as a surgeon in 1864 and was awarded the title of Doctor of Medicine in Edinburgh in 1866. Miller spent some time in Paris and Vienna before practicing as a physician at the London Homeopathic Hospital. In November 1869, Andrew Miller followed the call of Dr. Allan Campbell, who had opened a medical practice and a homeopathic dispensary in the South Australian coastal metropolis of Adelaide in 1867. Campbell, a surgeon and homeopath from Edinburgh, is one of the pioneers of homeopathy in Australia. Dr. Andrew Miller became a partner in Campbell’s private practice and his homeopathic dispensary (Adelaide Homeopathic Dispensary). He took over the treatment of all patients in July 1873, with preference to the homeopathic treatment. After the end of the partnership between Campbell and Miller in 1873, Dr. Miller served as a homeopathic surgeon at the Loyal Duke of Kent Lodge in Adelaide for a short while. In 1875, Dr. Andrew Miller surprisingly moved from Australia to England, probably for family reasons. He settled in Hampstead, London, where he lived until his death on September 10th, 1894 following a riding accident.